Do social service organizations support curfew? Posted: Sunday, March 27, 2016. 12:40 pm CST. By BBN Staff: The budget debate has come and gone and United Democratic Party (UDP) supporters, after wiping the brown from their noses, have hailed it as a wonder budget; while People’s United Party (PUP) supporters, with vicious snarls on their faces, have condemned it as perhaps the country’s worst yet. So what’s what? Who’s right? Because UDP sympathizers no doubt believe Belize is “stable in a time of change” and PUP supporters believe the country is going through a “recession”. So again, who’s being honest? Well, neither. Big surprise, right? The economy is indeed struggling and prospects for the future don’t seem much brighter outside of tourism, but the country isn’t yet at the point of total economic collapse, nor are we currently facing a recession. Still, calling the economy stable is a bit of a stretch, especially when the budget relies so heavily on bi-lateral financing, from already struggling economies like Venezuela, just to balance it. The deficit for the 2016/2017 fiscal year is projected at $62.6 million. In the last fiscal year (2015/2016), however, GOB projected a primary deficit of $87.6 million but at year’s end, faced an overall deficit of $180.1 million (5.1 percent of GDP). 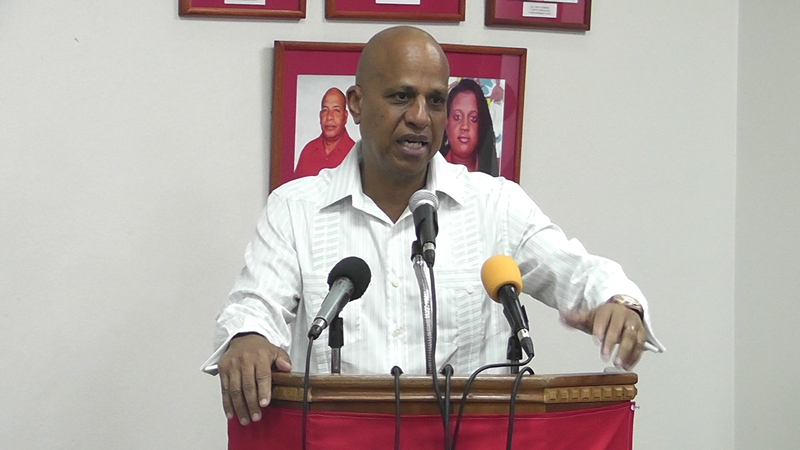 Prime Minister Dean Barrow later explained that this was due, in part, to the payments his government had to make to settle the BEL and BTL nationalizations. Opposition Leader John Briceno, though, was quick to point out that while GOB is projecting a $62.6 million deficit for the current fiscal year, an arbitration panel will soon be handing down a decision on the final compensation figures owed to Michael Ashcroft for BTL. That judgment is expected to be significant – hundreds of millions possibly. And Briceno is right in this regard, so that deficit is likely to balloon, if and when that decision comes. Briceno also quoted Statistical Institute of Belize (SIB) figures showing Belize had experienced negative growth for two consecutive quarters in 2015; -1.6 (Q2) and -1.0 (Q3). And while Briceno is right that economists normally consider two consecutive periods as a recession, it can only be considered a recession as long as the trend is consistent, meaning that once that negative growth is replace by positive growth, any recession would be considered to be over. But Barrow and Briceno both quoted figures indicating that overall GDP growth for 2015 was around 1.4 percent and some economists have done the math and calculated that if indeed that figure is accurate, Q4 growth would be around 1.2 percent. So Belize is most likely not going through a recession but rather experiencing economic fluctuations but by no means is the economy on sturdy footing. It has been well documented that several major industries have struggled over the last year, some to the point of almost total collapse. Some members of the UDP pointed out that at least in the case of the papaya and the oil industries, there was very little the government could do in those instances, and to some degree they are right. Fruta Bomba, and its parent company, Belize Food Packers Ltd., have decided to close down operations in Belize and take its business to Guatemala and the Dominican Republic, where minimum wage is considerably cheaper than in Belize. Naturally, no-one would advocate for lowering minimum wage in Belize; in fact quite the contrary. And in regards to oil, Minister of National Security John Saldivar is correct in saying that oil is a finite resource and would have come to an end at some point. 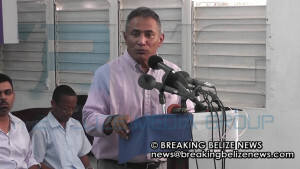 What can be debated, however, is whether or not Belize got any real value from the profits made off its oil. Banana also suffered a major blow after Fyffe’s decided to discontinue its business with Meridian Farms causing hundreds of workers to lose their jobs. The shrimp industry also took a big hit after an aquatic disease affected many of the ponds; that industry is still recovering. Cane farmers had to tough it out through a drought. So government isn’t directly responsible for these events but it can be argues that GOB hasn’t done enough to develop new industries for Belize to capitalize on. Briceno also noted GOB’s raise on fuel import duty, ensuring that Belizeans would never enjoy low fuel prices like the rest of the world has been enjoying over the last two years. He also noted that GOB has cut spending on poverty alleviation by $100,000. This year’s budget is a sobering one for the government, who just last year boasted PetroCaribe was rolling and now announce that Belize is stable in a time of change. Whether or not that change is for the better or the worst is yet to be seen, but as of now things aren’t looking very positive. GOB hasn’t allocated nearly as much funds to social programs and capital projects as in recent years, and that is the biggest indicator that it realizes that things are indeed changing. 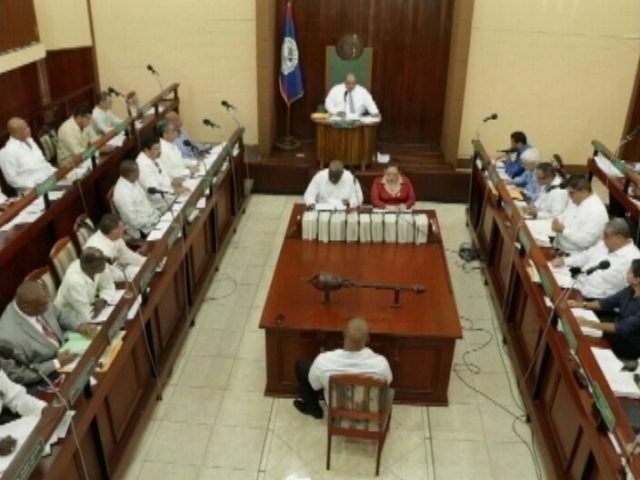 Some ministers have even pointed out that they knew the PetroCaribe treasure trove would have dried up at some point, but have been adamant that with the money the government has borrowed that Belize has gotten value for its over $350 million worth of debt. But even that isn’t really true. Sure, there were many capital investments that have benefited Belize but even the quality of many of the roads and streets built are under question. Furthermore, many believe that money would have been better spent investing in new industries and educational opportunities, but nothing of the like has happened. Instead, Belize got a few streets and gang members got jobs; which is really the hallmark achievement of this government. And as this new budget brings into focus, even that is now coming to an end. So the best may be yet to come, but the best will not come this year.